Food Safety - Becky Dorner & Associates, Inc. Helpful instructions on how to take accurate temperatures including: how to choose the right thermometer, how to calibrate bimetallic thermometers, how to take temperatures with metal stem thermometers; minimum cooking, holding and reheating temperatures of various foods; minimum food temperatures and holding times for reheating foods for hot holding, plus a sample food temperatures form and a Sample CCP Documentation Form. 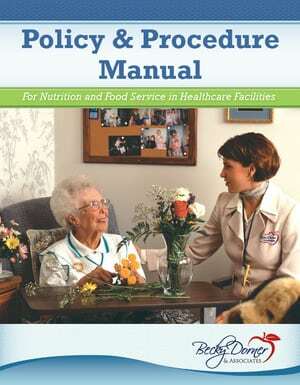 Order our Policy & Procedure Manual and save time and money! Access our free temperature chart! In an effort to reduce food waste, the US Department of Agriculture’s (USDA) Food Safety and Inspection Service (FSIS) provides information on food product date labeling, including new guidance to provide clear and consistent information on how to use the date labeling on foods.